So, it’s been a bit quiet on the blog front recently, but sometimes the best ideas are those that are slow-cooked!  You may have noticed my site has been renamed Aldo In Cucina – it’s a minor change, but my new name has a broader meaning. Where ‘Aldo cucina’ means Aldo cooks, or Aldo’s kitchen, the new name means ‘Aldo in the kitchen’, which is pretty much where you’ll find me at parties, and more so in 2019 when I will be launching some private and exclusive in-home Italian food and wine experiences. And I mean what I say when I say ‘experiences’ – don’t expect to just come for the food and wine, expect to be immersed in the Italian tradition of celebrating with food. There will be more details on this venture coming Oct-Nov this year, a few official launches planned, and of course, more recipes and ideas to share on my blog. The blog is also changing. There will still be recipe sharing, but you’ll also get to see more of what I’m up to in my kitchen and in the kitchens of others, and there will also be a section dedicated to the Aldo In Cucina food and wine events where you will also be able to see how you can be involved. I’m pretty excited about it and can’t wait to share with you all what I have planned! Last night was a pretty big night, though. I was invited by my dear friend, Anita, Director of Creative Industries at Seymour College, to launch Aldo In Cucina at the College’s launch of their Creative Industries program. The brief: around 200 people, canapes featuring sweet and savouries, lots of food and make it good! Sure! No pressure! Given that this was a bigger event than those that I am ever really wanting to cater, with the help of my wonderful support team (my husband, Matt, and sister-in-law, Lilli) and the waitressing prowess of the Seymour Year 11 Drama students (in character!) I was able to serve up an Italian menu of assorted crostini, amuse-bouche and dolci! It was an at-times terrifying concept – catering for that number of people out of a tiny little kitchen – but if the theme of the night was about making and taking opportunities to make something enterprising out your creativity, then this was the right forum to take that leap of faith. Dorinda Hafner – one of the Earth’s true angels. An infectious spirit that just beams with happiness, positivity and electric creative energy. If you ever need someone to ignite your dreams with the flame of your own self-belief, try to find Dorinda! There’s a real magic around this woman! Being able to rub shoulders with the delightful, life-affirming and inspiring Dorinda Hafner, to have her rave about my food and even take a stash of chocolate salami for the road was the icing on the very much cake! Dorinda was there to moderate a hypothetical discussion about creative industries hosting a panel of industry professionals including Australian Hollywood actor Lasarus Ratuere (‘Mabo’, ‘The Mule’, ‘Ghost in the Shell’, ‘Ready For This’ and Sci-Fi series ‘Terra Nova’ produced by Steven Spielberg), singer and musician Jo Elms (an accomplished singer and composer in her own right but who has also been backing vocalist to artists such as Rick Price, Glen Shorrock, Margaret Urlich and, a personal favourite, Tina Arena! ), ‘Rock God’ and The Zep Boys frontman, Vince Contarino, and trailblazer, survivor of the debated ‘war on free-to-air-television’, and all-round beautiful human, Lauren Hillman, who, through her active lobbying to keep community television alive in her work with Adelaide’s Channel 44, was recently named by In Daily as a winner of the inaugural 40 Under 40 Awards. So, just a few creative minds in the room just casually enjoying Caprese sticks and Florentines after the formalities in my presence! Seymour students displayed their art, design and media works in the foyer of the Seymour Centre for the Performing Arts, while in the theatre, student drama, dance and film works were presented showcasing the enormous array of talent at the school. As a Drama teacher myself, it was so inspiring to see the support for the Arts as a real industry in a way that wasn’t so celebrated when I told my parents that I wanted to be an actor and director. Creativity is the core skill that all future employers and careers will demand of our young people, along with an enterprising and entrepreneurial spirit to forge ahead in every competitive industry. The feedback from the close to 200 guests was really rewarding and encouraging. Dorinda spoke in the hypothetical about any sort of creative work as being in service to others, and that if you stop approaching creativity as being a service, then you should get out of the game. I spoke with her about this after the event while she sourced any of the remaining canapes that contained prosciutto! For me, food has always been about creativity and using that creativity to serve others. I feel a huge sense of satisfaction when I create something in the kitchen; like Dorinda, I want to make food that you need to take a photograph of before you can disturb it for the eating, and when people compliment me on my food, I very rarely say ‘thank you’ as though I created it to please myself, I will always say ‘Oh good! I’m glad!’ because I am happy that I achieved my intentions: to make the eating experience pleasurable and exciting for someone else. It’s about sharing creativity, and I think I needed to hear that last night as I embark on my new food venture. Creativity is the source of everything, and the future of everything, and I am excited about what my two creative passions – food and drama – have in store for me in 2019 and beyond. A huge thank you to Anita and Seymour College for the opportunity to launch Aldo In Cucina alongside the Creative Industries program, and to support the exciting future of the Creative Industries as the College. An even bigger enormous thanks to Matt and Lilli for being the essential engines that allowed this rocket to lift-off last night. Feeling proud, humbled, and looking forward to the next course! What a team! Matt and Lilli looking fabulous in their Aldo In Cucina t-shirts helping to feed the masses! Not quite sure how Jesus did this with just a loaf of bread and two fishes – we were under the pump with more crostini, Panna Cotta and Florentines than we had bench space for in our little kitchen, but super proud of what we achieved together. I honestly could not have done it without them!